In this area of the Apparel Search fashion brand directory, you will find women's fashion brands from leading apparel companies and fashion designers. On this particular page, you will find information regarding women's clothing with the Dolce & Gabbana brand. You are welcome to utilize this section of our clothing guide to review Dolce & Gabbana news, Dolce & Gabbana blog posts, Dolce & Gabbana photos, and more. Please understand that you may run into a few photos or a tad of information that does not actually pertain to the women's Dolce & Gabbana fashion brand. Unfortunately, no search technology is absolutely perfect We will continue to do our best to bring you as much information about the women's Dolce & Gabbana fashion collection as possible. Dolce & Gabbana is an Italian luxury fashion house founded in 1985 in Legnano by Italian designers Domenico Dolce and Stefano Gabbana. The two met in Milan in 1980 and designed for the same fashion house. In 1982, they established a designer consulting studio; in time it grew to become "Dolce & Gabbana". 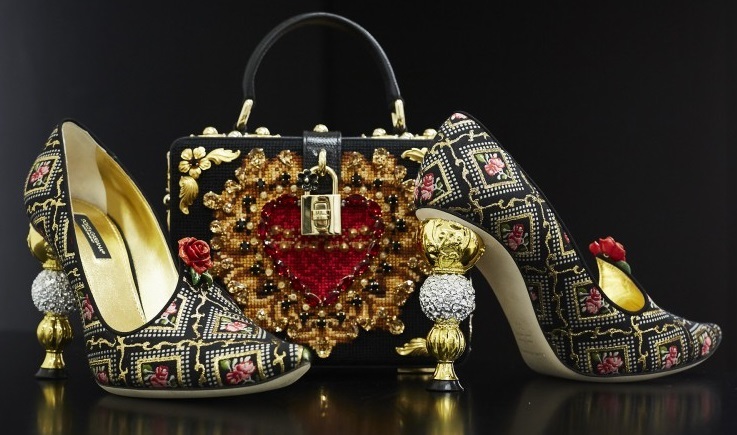 Learn more about the women's Dolce&Gabbana fashion brand. Luxury shoes, handbags, and much more. Discover all the looks from the catwalk of the new Dolce&Gabbana Women's Fashion Show. by visiting their website. If you have changed your mind and do not wish to research the brand Dolce & Gabbana, you can use the search engine on this page to find another clothing label that may be of more interest. Apparel Search is a leading guide to fashion, style, clothing, glam and all things relevant to apparel. We hope that you find this Dolce & Gabbana page to be helpful.